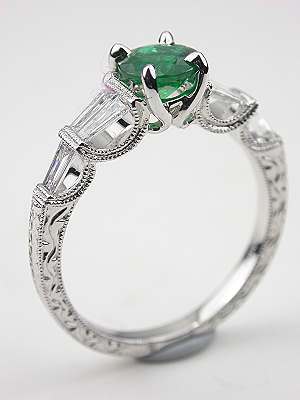 This dramatic emerald and diamond vintage style engagement ring is draped in festive streamers. 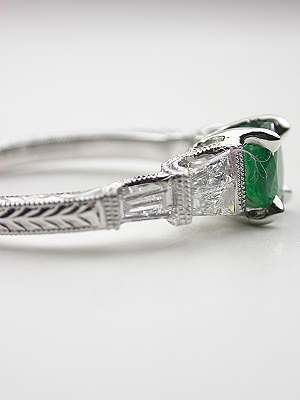 Mille grain edging lends textural appeal and highlights the six tapered baguette cut diamonds.The emerald, which is prong set in the center of this unusual and innovative 18k white gold band, weighs 0.51 carats. 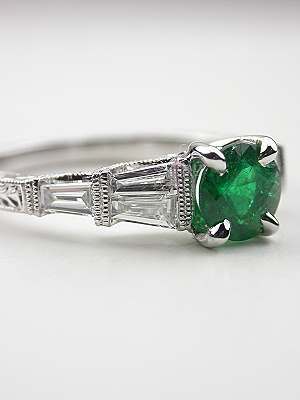 This is a vintage inspired (new) emerald engagement ring. 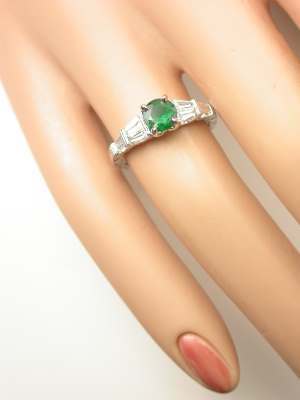 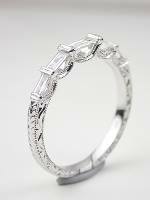 Special characteristics This emerald and diamond engagement ring has a matching band. 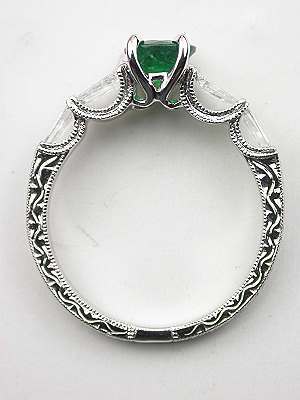 Please see style RG1739wb. 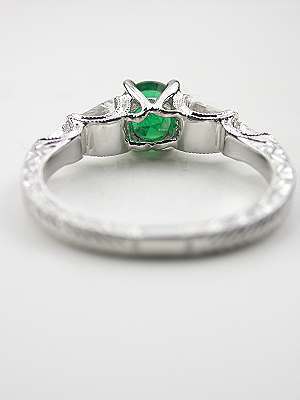 The band may be purchased separately. 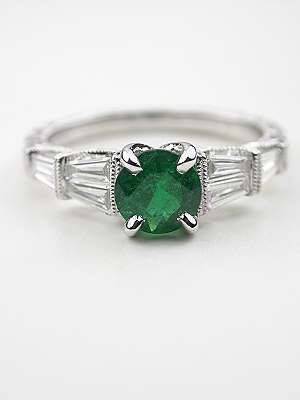 Gemstone comments Please keep in mind that emeralds require extra special care.